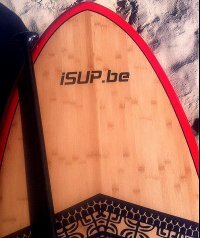 De nieuwe F-One 2017 SUP boards staan online, dit jaar is er heel wat gewijzigd. Alle boards zijn vernieuwd en er is heel wat nieuws toegevoegd voor de wave- en race suppers. Whether if you are a cruiser, surfer, racer, foiler, yoga boarder our 2017 collection has what it takes to win your SUP boarder's heart. Papenoo, Noosa, Ocean and Magic are our latest additions and offer many more opportunities to enjoy the wilderness. Sit back, relax and enjoy the new catalogue. There is a board out there waiting for you. Kitefoil, Supfoil, Windfoil… F-One heeft voor alle diciplines de juiste foils en boards. Enter the world of foiling and discover the F-ONE range developed to make you fly above the water whatever your discipline. Get ready to get some Air! WARNING: Foiling can be very addictive, don’t start practicing unless you are ready to fall in love with a new sensation! Discover our NEW WEBSITE 100% dedicated to KITEFOIL - WINDFOIL and SUPFOIL! Introducing F-One SUP Foil – the Foiling revolution is marching on ! Discover the F-ONE SUP products videos on the vimeo CHANNEL ! All info you need are there and the images are gorgeous !